A project completed for IWT by University of Chicago undergraduate students to develop a strategy to form an Associate Board has resulted in the formation of IWT’s first ever Associate Board. Led by Matt Coyne and Tony Klausing, whose backgrounds include previous Associate Board experience, the Board currently has nine members and provides opportunities for young professionals to share their insight, expertise, and experiences throughout the IWT community. “I had been traveling to Englewood often for my work and became interested in contributing what I could to the community and developing a real sense of connection across and maintaining a real presence at IWT,” said Coyne. Working closely with Angela Hicks, IWT’s executive director and Geri Kerger, development director, the Associate Board held its first service day at Maria Shelter in June. Volunteers spent the morning cleaning up the yard and garden and the afternoon “hanging out with the kids, talking to the mothers and sharing a meal with everyone,” said Matt. The Associate Board is planning another event this summer, seeks to double its membership, and hopes to raise $15,000 for IWT in the coming year. Matt said the Associate Board’s top priority is to get people from neighborhoods across the city to experience meaningful engagement with one another. This includes Northsiders coming to the Southside and vice versa. “Chicago is a separated city and we’re hoping to help bring it together, even if it’s in a very small way,” he said. Matt added that he wants to offer its members’ skills to assist IWT in its daily work through pro-bono consulting and skills-based volunteering. Hicks said she is grateful for the leadership and commitment board members have already displayed in their infancy. 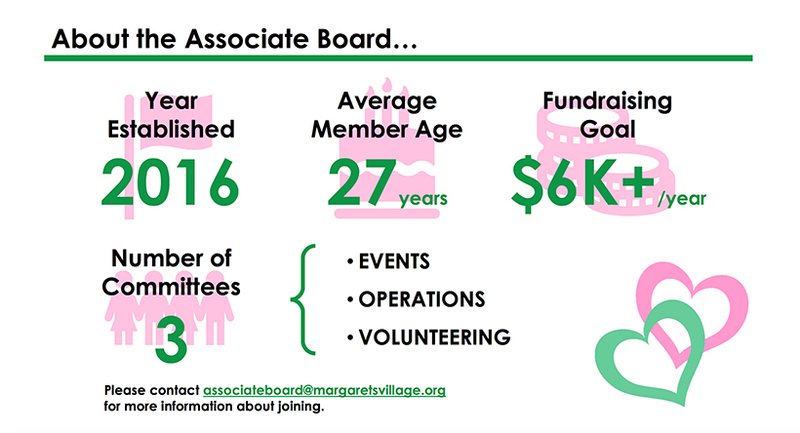 “Associate Board members come from different communities and walks of life. I am excited about the possibilities they bring to our community,” she said.